For years my mom has asked me to to read a particular book of hers about breathing and I have always put it off- until now. For some reason I have recently started to think about breathing and decided to finally pick it up. (I trust that things come into our lives as we need them and when we need them, so though I’m kicking myself for not having read it sooner, I know it was meant for me at this time.) I have learned so much from this beautiful little book, and in just days am already experiencing the results of breathing properly. 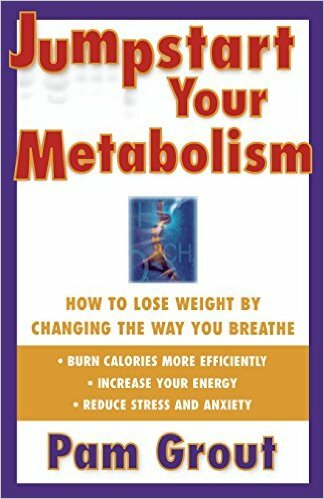 The book is “Jumpstart Your Metabolism- How To Lose Weight By Changing the Way You Breathe” by Pam Grout . Though this quick-read primarily focuses on the weight loss benefits of proper breathing, it also explains the numerous other health and beauty pros, and explains how to obtain them. I highly suggest you make the $12 investment in this insanely helpful little thing. This free and easy weight loss solution may seem too good to be true, but you’ll realize it’s true as we understand how and why it works! Breathing is the body’s principal way of cleansing itself. Our body is constantly cleansing itself of toxins, and cannot do so properly without sufficient oxygen in the cells. In fact, 70% of all of our wastes are processed through breathing. The way the body does all this cleansing is through the process of oxidation- how the body uses oxygen to chemically convert the food and liquid we take in into energy. Therefore, if not enough oxygen is reaching our cells, we are unable to process the food we’re taking in, and we accumulate excess fat. Grout points out that it’s interesting how when it comes to weight loss, we tend to focus all of our energies on our food intake (through diets etc. ), instead of thinking about how to better process the food we eat. “Oxygen is the fuel that burns the fat, the source of all energy, the ignition key that makes sure everything that bodies do gets done.” Though we all breathe, the differentiating factor between a thin and heavier person is the AMOUNT of oxygen each takes in. And, most importantly, breathing (unlike dieting) changes the body chemistry, because it changes HOW our body works on the inside. Grout writes that the reason why aerobic exercise is so effective for weight loss is because of how much our oxygen intake is increased by our breathing during a workout. Practicing aerobic exercise pumps around 5x the oxygen per minute into your cells as regular breathing does, and therefore helps to change the body from a “fat storer” into an “energy producer.” Now, if we can just breathe “normally” in such a way that brings this amount of oxygen to our cells, we won’t even have to work out to lose weight. Sign me up. 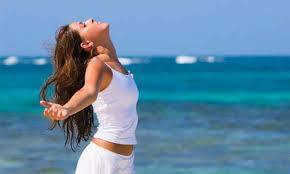 -reduced stress– breathing is an instant stress reliever. -mental clarity– “The brain is oxygen’s best customer.” Grout points out that the brain alone consumes 20% of the body’s oxygen. Full breathing helps with concentration and problem solving. -self-esteem– better breathing pumps more endorphins into your system. -vibrant health– infection, allergies, hormonal disturbances, fatigue, nutritional deficiencies, arthritis, irritable bowel syndrome, and other diseases can all be traced back to improper breathing/insufficient oxygen intake. (And have been proven to be corrected with proper breathing techniques). 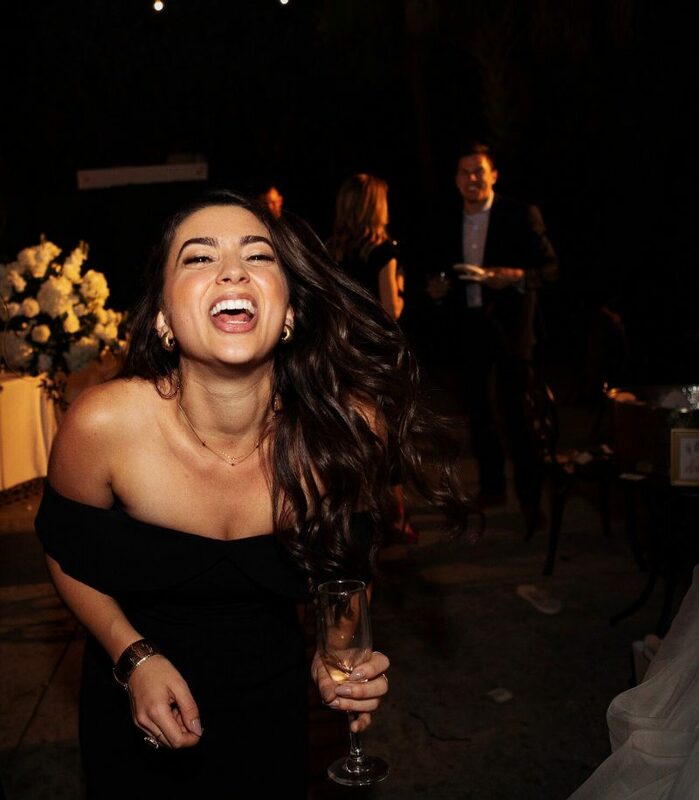 She looks pa-retty damn happy breathing, doesn’t she? So now that we know why it’s important to breathe fully and how it works to improve our health, we have to understand how to breathe fully! In “Jumpstart Your Metabolism,” Grout includes several different breathing exercises. You are gonna have to make that hefty $12 investment yourself to see all the exercises, as I am just going to include my three favorite ones here. Never Strain- breathing is natural and should be enjoyable. Never force air into your lungs. Keep your mind blank by concentrating on the breathing itself. Keep your jaw relaxed- It helps draw oxygen into the lower lobes of your lungs. Benefits: increasing your energy, losing weight, fully oxygenating your body. Lock the breath inside your body and hold it for four times as long as you inhaled. Ex. if you inhaled to the count of four, hold it to the count of sixteen. 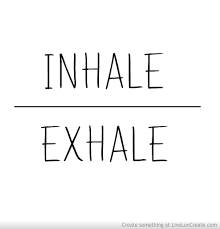 Exhale through your mouth twice as long as you inhaled. Using the example, exhale to the count of eight. Standing, inhale deeply through your nose, tilt your head back. Exhaling forcefully through your mouth. Make a loud, definite “ha” sound as you bring your head back to its normal position. How often to practice: as often as you wish, I have included it in my daily exercises because I like it that much! Sit in a chiar or on the floor with a straight back. Using your index finger (either one) to hold the right nostril closed, breathe in with your left nostril to the count of six. Hold the breath for three counts. Closing off the left nostril with your finger, release the right nostril and breath out to the count of six. Still closing your left nostril, breathe in with your right for six counts. Hold for three counts. Closing off the right nostril, release the left nostril and breathe out to the count of six. Repeat the entire sequence six times. Next Post Bright, Bold Lips For Spring! This is by far my favorite post. 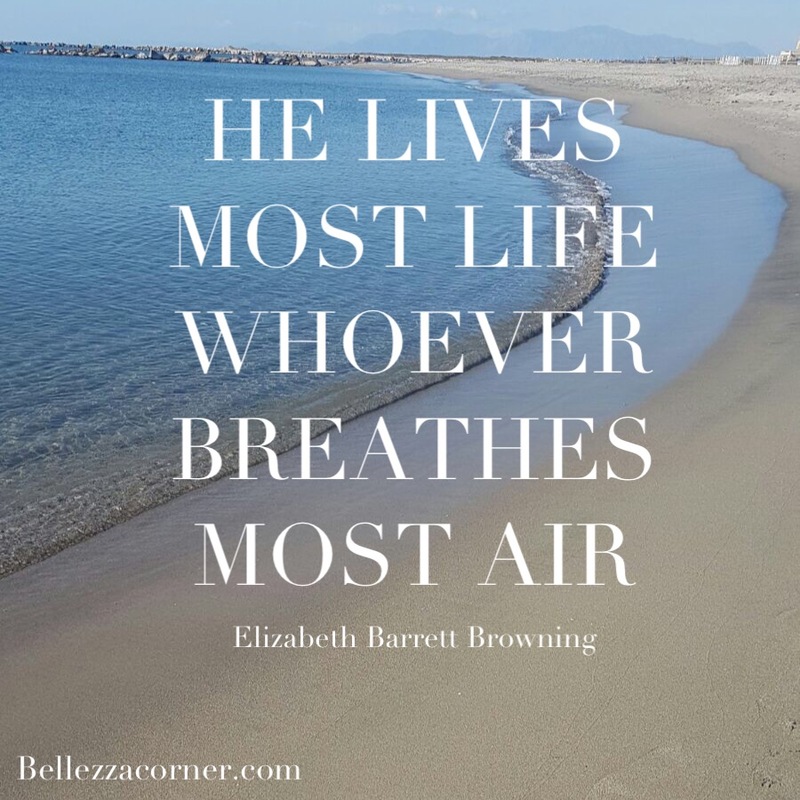 Excuse the pun– but it is a breath of fresh air to read a wellness post that pays regard to one of most essential/important functions of the human body. pH plays a significant role in our physiology and the breath can regulate that measurement. The teaching of Wim Hof might be interesting to you and your followers. Thank you for sharing the book and your well organized thoughts and tips. Keep up the diligence! I have recently read the book ‘the universe has your back’ by Gabrielle Bernstein. 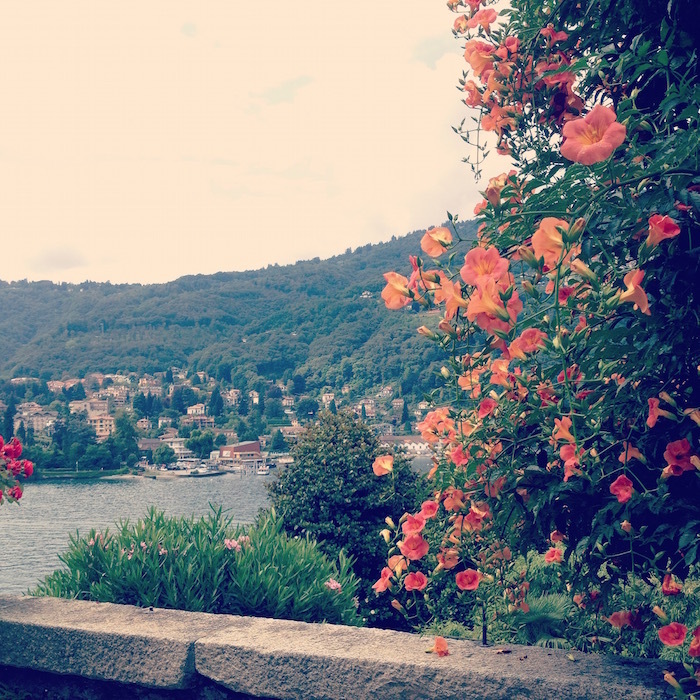 She changed her life with medication and breathing techniques. I highly recommend this book. Great post! I’ve been looking for a new read about these topics and I’ve heard of this one. I think I might have to get it now 🙂 Thank you! I’ve also recently read this book by Pam Grout. I have a question about the Kung Fu Breath. I tend to quickly flex my neck (from looking at the ceiling to looking forward) while making the “ha” sound. I don’t know if this is correct. I haven’t been able to find a demonstration on YouTube either. Do you have any advice about seeking proper technique for this particular breathing exercise? Thanking you in advance!